The Old Grey Whistle Test was a long running telecast created by Rowan Ayers to replace Disco Two which aired in the same time slot for one year in 1970 on the BBC2 network in the UK. According to host Bob Harris the show took it's name from a Tin Pan Alley phrase from years past. This telecast was a frontrunner for the time since it focused on heavy rock music of the time rather than the standby top 40 of other programming. From 1971 till 1987 it presented many historical videos that are mainstays in collections of rock fans all over the world. These broadcast were at times aired live with makeshift backdrops and the band mimicked the music but the vocals were real. 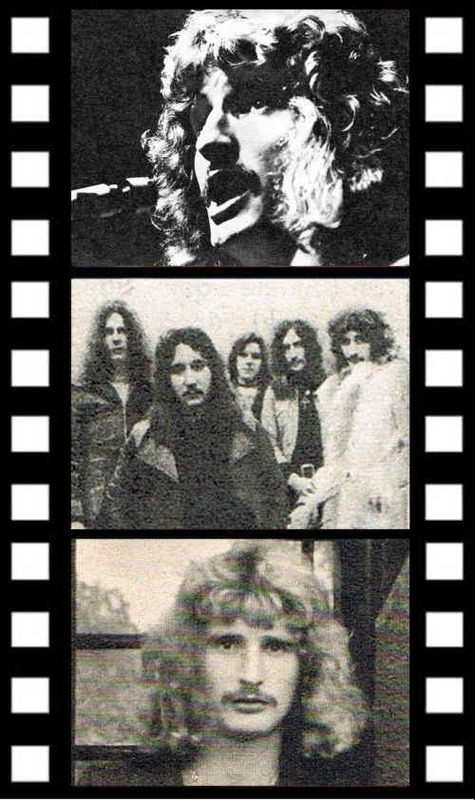 Uriah Heep made two appearances that are documented for us to confirm the dates. Several members of the band, crew or management remember the shows but little about them. The first broadcast was a rendition of Salisbury which was filmed on May 18, 1971 and aired two days later on May 20th. At this time it's unclear if this was an abbreviated rendition of the song or the full track. It is clear that no orchestra arrangement was used. A second appearance was made late in the same year just before the lineup changed. On December 14, 1971 the band played Look at Yourself and one other unknown song on this date that were aired live. We can only speculate what the second song may have been since there is no information found at this point to clarify it. So far three DVD sets of material from this era have surfaced but these don't contain anything from Uriah Heep. This may or may not be the first appearance on BBC television in the UK. Paul Newton and others have vague remembrances of the band doing Gypsy during some point in 1970. However that would have been under the former show telecast at in the same time slot named of Disco Two.